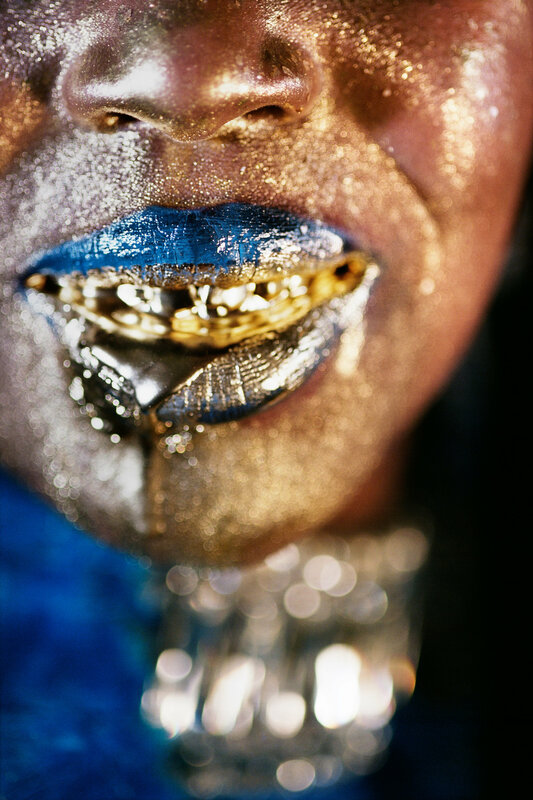 MARILYN MINTER, “Wangechi Gold #4,” 2009 (c-print) via Salon 94. FEATURING “ILLUSTRATED BOOKS, art-themed fiction, artist biography, nonfiction about the art world, original photography and original artwork,” the New York Times published its first-ever art-themed Sunday Book Review section today (June 28, 2015). The print version arrived in this morning’s paper, but the reviews began appearing online Wednesday and a specially designed web page featuring all of the content in the issue went live early on Friday. Several black artists are featured in the literary supplement. The special issue includes reviews of Lynette Yiadom-Boakye‘s first monograph, a new volume on Jacob Lawrence‘s ‘Migration Series,’ and two books about the work of Jean-Michel Basquiat. The issue’s hallmark is a series of visual book reviews by five artists, Wangechi Mutu and Jacolby Satterwhite, among them. Art critic Holland Carter’s review of four volumes about contemporary painting and the state of 21st century art offers some context about the cultural and commercial fluctuations of the art world.